Earlier this week, OnePlus took to Facebook to announce their latest smartphone - the OnePlus 3T. Rather than being a true follow-up to the OnePlus 3, the 3T is more of a hardware refresh with the same design and slightly upgraded internals to make it more comparable to some of the more recent flagships that competitors have released. 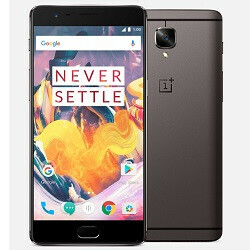 When they announced the new phone, OnePlus said that both the 3 and 3T would receive identical software updates at the same time, but after the announcement that the OnePlus 3 would no longer be sold in either the US or Europe, this action looked to contradict OnePlus's earlier statement. Following this news,Android Authorityreached out to OnePlus to inquire about the matter, and the company responded saying that both the OnePlus 3 and 3T would continue to receive shared software updates. In addition to this though, the company also went on to say that both the 3 and 3T will be receiving the update to Android 7.0 Nougat before 2016 is over. With the OnePlus 3 scheduled to get a beta version of Android Nougat sometime in November, that means we'll likely see both the 3 and 3T get the official update sometime in December. While it's certainly nice to see that OnePlus will be keeping the software side of things alive for the OnePlus 3 for now, here's to hoping the company follows through for the months and years to come. So many OEMs have a hard enough time keeping their devices updated that are still alive, yet alone ones whose hardware is considered dead. I'm hoping OnePlus sticks to their guns on this one, but in any case, at least we won't have to wait too much longer before Nougat arrives is all of its glory.